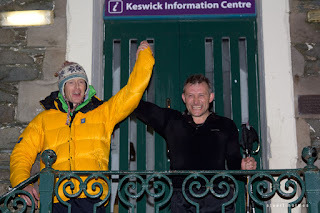 Mike Park (MBE) Team Leader at Cockermouth Mountain Rescue and Team Member Andrew Graham touched the green door of the Keswick Moot Hall at 8pm on December 21, 2011 and set off for a run. The pair navigated themselves around the full Bob Graham Round (72 miles, 42 mountain tops and 27,000ft) with the help of other team members and friends in support (as pacers, bag carriers, trail breakers through the snow). 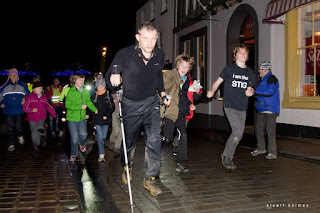 Stuart Holmes from Lakes Panorama was with us at the Moot Hall between 7:30 and 8pm on 22 December to see them return. He took these pictures. Stuart is not just a photographer, he was one of their Leg 1 helpers. Andrew Graham was cheered in by quite a large crowd at around 7:35. 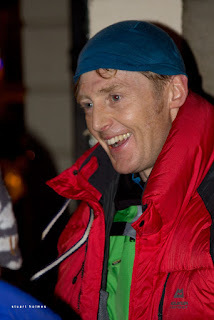 He had just 25 minutes to spare to complete the Bob Graham Round in the permitted 24 hours. The crowd congratulated him and friends brought him extra coats and a flask of something warm to drink. The crowd then waited with baited breath for Mike who was about 20 minutes behind when they came off Robinson, the last mountain. How would he cope with the '10k road challenge' that makes a lovely finish to the Bob Graham!? 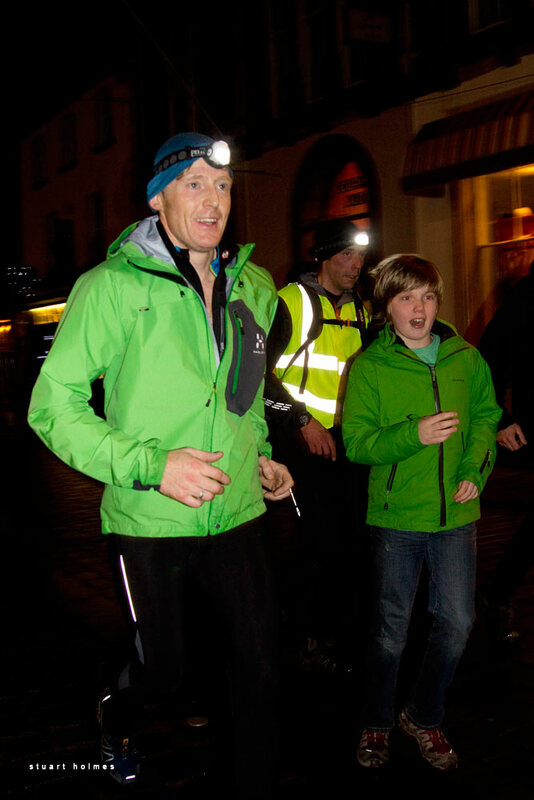 At 7:56, lights were seen at the start of the high street and a big cheer went up. Mike, leading twenty to thirty support runners, was storming over the cobbles focusing on that green door of the Moot Hall. He touched the green door again at 7:57. 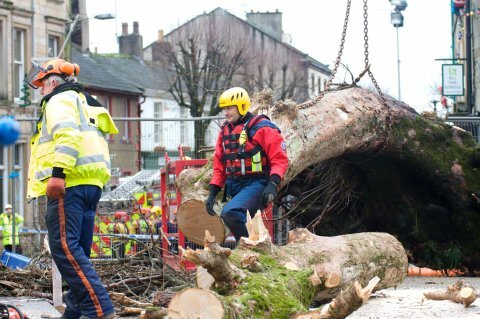 Most around here know that Mike was awarded the MBE for services to Mountain Rescue in particular during the Cumbrian floods of 2009. Like all rescue teams, Cockermouth Mountain Rescue Team are a charity and are financed totally by voluntary donations. You can find out more about them here. Why not consider giving a donation! It is Christmas! !